Rocket League has been steadily growing as a scene, both fostering its own league and spotlighting on networks like NBCSN. It’s easy to see why—rocket-car soccer is inherently simple to understand as a spectator. The high-flying automotive game has space for wild plays, but when it comes to competitive action, simple has proven better. Though the game started off with basic arena resembling soccer fields, maps like Starbase ARC and Wasteland added new nuances. 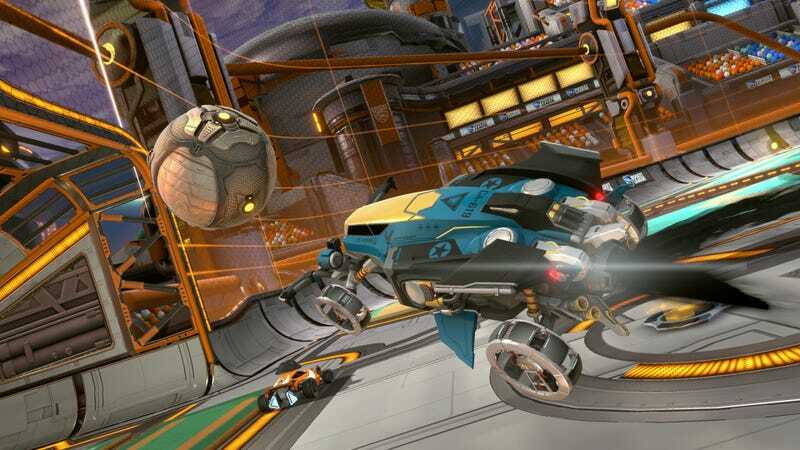 These maps had slopes and hills that put a new twist on Rocket League, but they also fundamentally changed the way players approached the game, forcing players to adjust how they put up crosses or dribbled in the midfield. Since the new maps were added to the standard rotation, players had to compete on them whether they liked it or not. In the last few weeks, the two arenas that previously featured erratic terrain have been phased out and replaced by flat fields. (Update, 9/1: For clarification, the original versions of the maps, hills and all, will still be available in private and offline matches.) According to Psyonix creative director Corey Davis, the alternate arenas didn’t offer enough strategic differences to offset interfering with player’s muscle memory, which is key to making the big plays and scores Rocket League is known for. Through social response and internal testing, the team saw that the varied terrain was not well-received, the same way Paul Pogba might have complaints if massive hills erupted on-field during a Premier League match. As Davis notes, the team tried several methods of keeping these arenas in, but in the end, consistency was always the most important factor. Another change came in car body types, after some players noticed cars were handling a little differently after a recent patch. Though Davis commented that the specific changes to the Batmobile’s handling and hitbox weren’t intended, there is an overall effort to bring cars in line with respective body types. Steering and handling are being standardized to fit certain car-chetypes, establishing certain cars as handling in set ways so that if you pick up an Octane-type car, it will handle like you would expect it to. It’s like car-brand loyalty, but for vehicles that are flying through the air, hitting giant soccer balls. First, our standardization efforts are categorically NOT an attempt to change how a car like Batmobile feels to you. We are not interested in making everything an Octane clone. However, we did want to provide consistency within groups of the most popular vehicles - e.g. Batmobile/Mantis/Twinmill. In an email conversation with Compete, Davis said that these changes are not just in response to community discussion, but to make future car and arena design something approachable to all players from the outset and to start creating a standard ruleset for Rocket League. When I asked Davis about Rocket League’s closest sport corollary, soccer, he said his team doesn’t really look to the Beautiful Game for guidance. 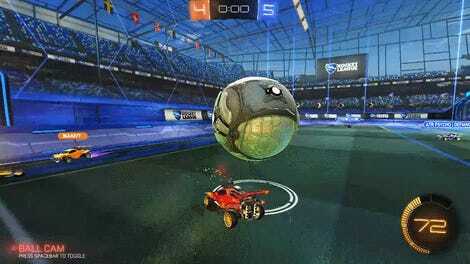 Rocket League is its own thing, and the team tries to follow its own internal logic. Davis compared the design philosophy to Super Smash Bros. Melee, a game left largely untouched for years and one in which innovation was spurred by the community rather than the developer. Though Psyonix does balance and keep an eye on meta-discussion, part of the game’s charm is that players push the shifts in the meta, rather than the patches. Terrain adjustments will likely stay relegated to alternate game modes like Dropshot or Rumble, where players expect non-standard matches. The idea of altering terrain is still a compelling one, but when it comes to competition, standardization can prevent feature creep from hurting a game. As much fun as it is watching rocket cars careen over hills and fly smack-dab into them, it isn’t always the best way to curate a healthy competitive environment.